You thought there was an escape from the brands, didn’t you? You thought that somehow, some way, the interstellar regions of our universe weren’t polluted with that kind of earth-like junk, yes? But you were wrong. Oh, were you wrong. The total solar eclipse on Monday is for the brands, and nothing else. See, the solar eclipse isn’t about the sun. It isn’t about the moon. It isn’t about you getting some good photos either. It’s about Mitsubishi capturing the eclipse and its Eclipse for a once-in-every-99-years type of moment. Wow! How kind of the sun and moon to do that type of thing for Mitsubishi’s #branding. 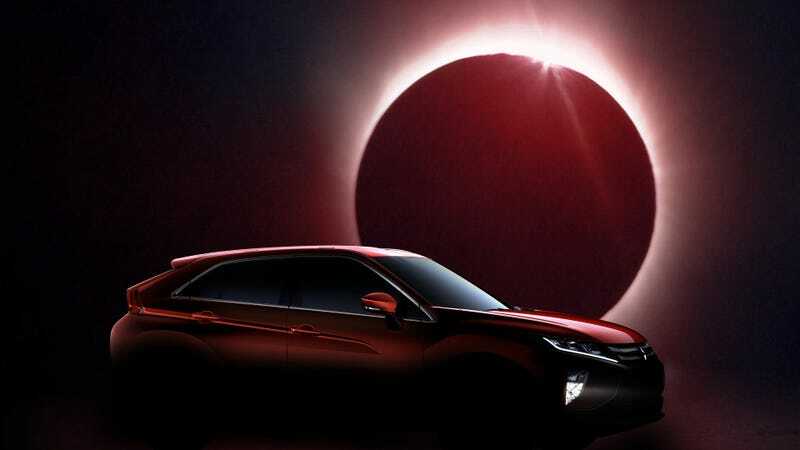 Thanks to all of our galactic friends cooperating with this great task, Mitsubishi will be in Salem, Oregon taking photos of its Eclipse Cross SUV and the total solar eclipse—both of equal importance and interest to our society—as the phenomenon occurs on Aug. 21. This must be why everyone keeps saying not to stare directly into the sun. We’re supposed to look at the brands instead.